Hoi An an cient town has been cited as an essential stop on any tour of Vietnam and one of the top 20 most interesting places in the world by www.roughguides.com. 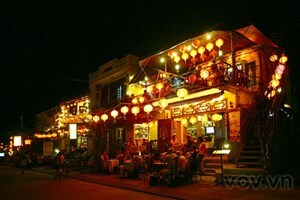 Stubbornly traditional and jam packed with sights, the intriguing small city of Hoi An was rated in 15th position. Most attractive is the beauty of the city at night on the eve of the full moon, the site reports. Rough Guides is a highly acclaimed British website providing tourist information and guides.